During the initial phase of in-depth interviews in the Sierras Norte, Guadarrama and Oeste of Madrid, one of the topics emerged were the conflicts between different landuses and users. Particulalry in and around the recently created National Park of the Sierra de Guadarrama, a high density of contrasting interested with apparently difficult solutions is perceived. Understanding the landuses and perceptions by different users (including life-long residents, newcommers and visitors) corresponds to objective 3.1 of REVERDEA project. 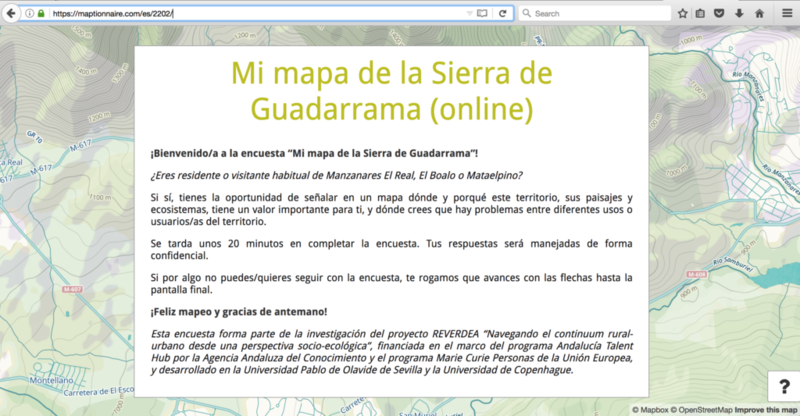 With the aim to potentially contribute towards a better land management and the resolution or coping with these conflicts, we have carried out a participatory mapping in the area of El Boalo, Mataelpino and Manzanares el Real. Respondents could point in the map, within the study area, the places where they do outdoor recreation activities, where they produce or from where thy consume food, those that have an emotional value for them, or those that they consider of importance for environmental or cultural reasons, among other landscape values. In addition, they could mark where they had had or they are aware of conflicts between landuses or different users of the landscape, among whom and what uses, how do this conflict(s) affect them personally and how do they perceive the importance and urgency of solving them. 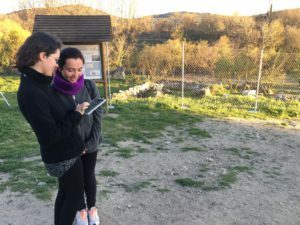 The sampling effort would not have been possible without the voluntary work of Alicia Martínez, Ángela Medina, Álvaro Fuentes, Elena Pardo, Flora Sonkin, Irene Pérez and Sara Palomo: ¡THANK YOU ALL VERY MUCH! We will share the results as soon as we have them!